1) Give yourself a mani and a pedi. That's right. Because if like me you are the epitomy of lazy when it comes to doing your own nails, there is no better occasion to do so than surrounded by your gal pals catching up over dates gone bad or sat alone in front of your TV watching cheesy rom coms (hint: I'll most likely be doing the latter because #introvert). 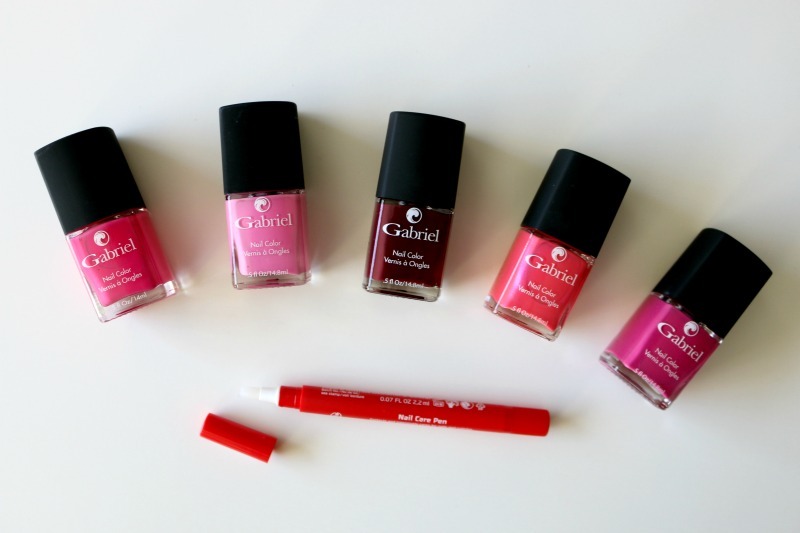 And of course since it's Valentine's Day you have to go for cute girly shades, and the Gabriel Cosmetics Tropical Cool Nail Collection* offers 5 eye-catching vegan, cruelty-free and five-free nail polishes that are perfect for the occasion: Dragon Fruit, Flamingo, Paradise Plum, Pink Lady and Passion (left to right). Don't forget to push those cuticles back and nourish your nail beds afterwards - I'll be reaching for the Weleda Nail Care Pen* which is packed with organic ingredients and essential oils to bring back moisture and make my nails look extra fabulous. 2) Run yourself a warm bath and slather on all the skincare afterwards. Again, a rare treat for me because #tallpeople problems meaning I barely fit into my bathtub... There's just something so relaxing about throwing a bath bomb into the water and watching it fizz away, and melting or (scrubbing) your problems away - because hello dry winter skin. 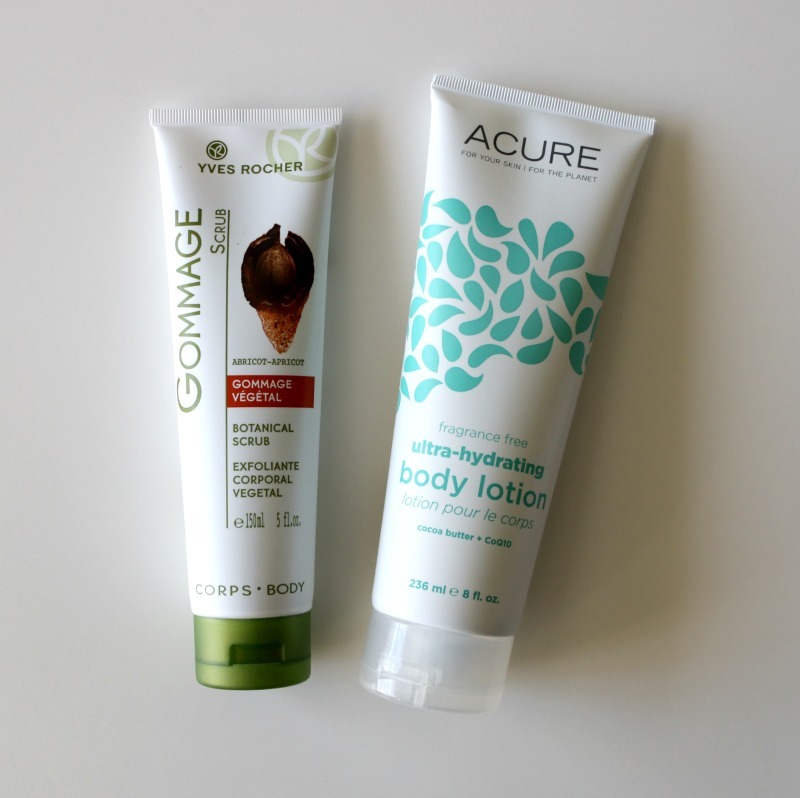 I've been enjoying the Yves Rocher Botanical Scrub* which contains apricot kernel powder, sara essential oil and agave sap to exfoliate and follow up with my new fave Acure Ultra-Hydrating Body Lotion*. Despite being light in texture and scent-free, it contains super soothing and rich ingredients such as cocoa butter, aloe vera juice, acai fruit extract, sunflower oil and the list goes on. Bonus points for being vegan and all natural too! 3) Fix yourself a special treat (or buy some junk food, I won't judge). 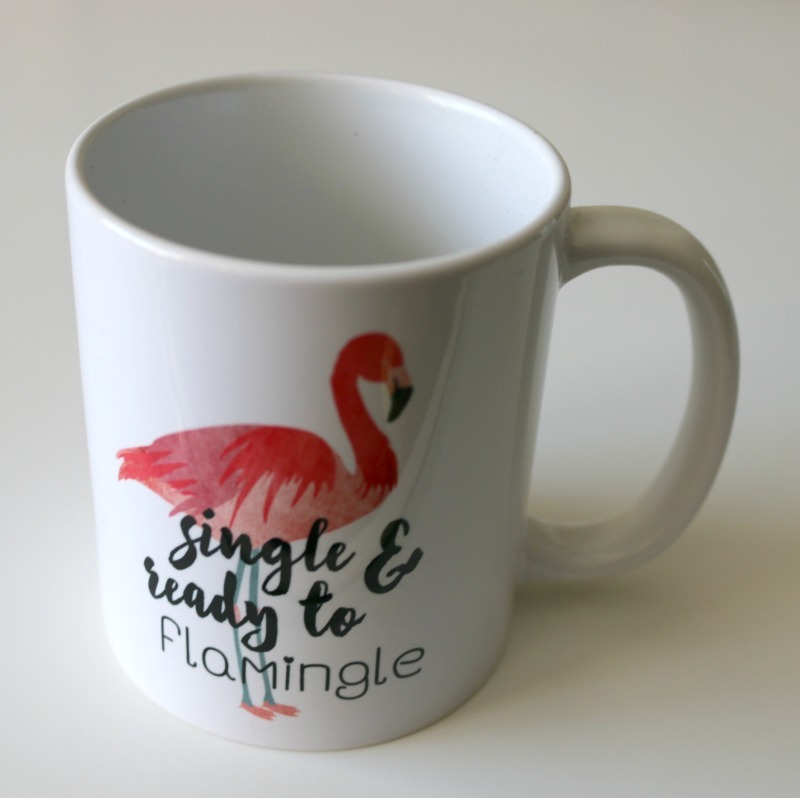 Of course I will have to put my sassy new Single & Ready to Flamingle mug* to use (thanks Gabriel Cosmetics! ), and I'll definitely be making myself some hot cocoa with soy milk and coconut whip cream to top it off. Better yet, I'll be buying myself some vegan cupcakes because who's got time to make those anyways, especially on a weekday. 4) Put on a bold lipstick and dance the night away (even if it's solo in your living room). Whether you are going out for a night on the town with you girlfriends or blasting music in your apartment and solo dancing to Beyoncé, slap on some lipstick girl - I don't know about you but a pop of colour always puts me in a good mood! My lipstick of choice these days? 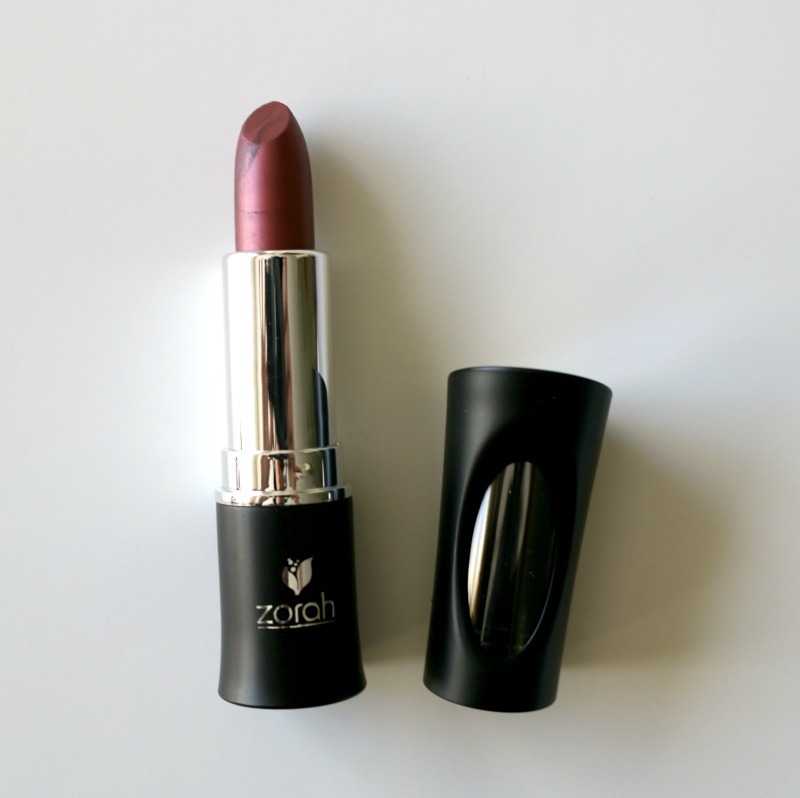 The Zorah Biocosmétiques lipstick in Australia*, a sheer brownish burgundy with a hint of shimmer. It's kind of vampy (and vegan! ), and anything that says fierce, I like! You can even go all out and do a full face of makeup - here's a look I've been obsessed with lately! 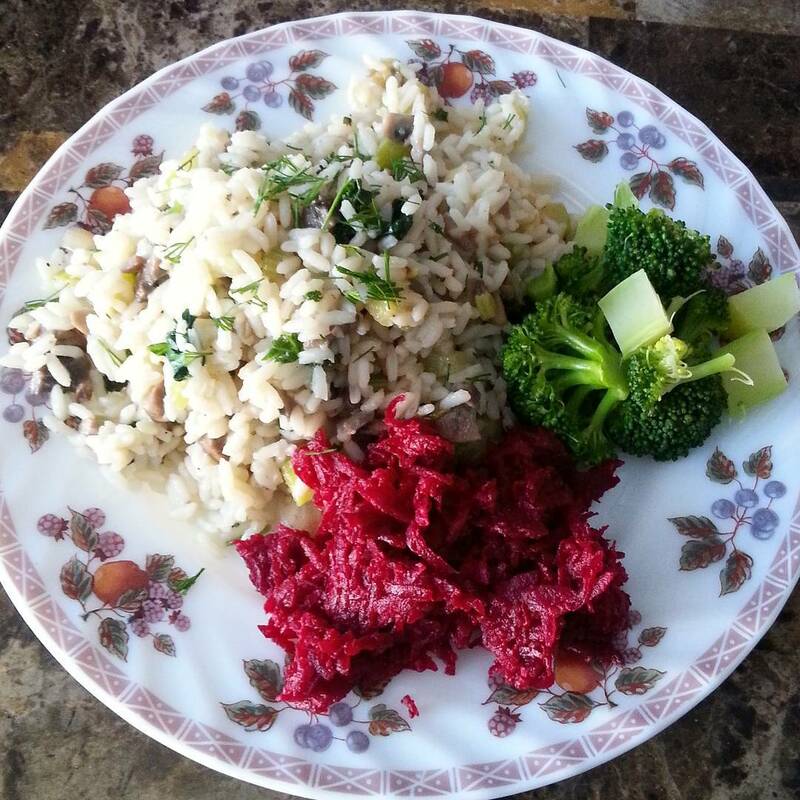 Restaurants are fun, but my friends and I are quite the potluckers and enjoy making and trying new recipes. Decide who brings what: entrée, main dish, dessert, drinks, snacks. Have some board games nearby because those always make for the best evenings (and laughs)! And there you have it - Galentine's Day ideas to make it a memorable one. Embrace the single life and have fun! Girl - in a sea full of couples V-Day posts I am so happy you did one for the single ladies. Personally, I am not single but I remember the days of feeling lonely on the holiday of love and it doesn't need to be that way. Make V-Day about loving yourself and you're friends. You don't need a man to help you with that! This is a great post. Love that you focus on the "gal" and making yourself happy with little things! Galentine's Day sounds like a lot of fun :) We normally do a little history party with the Saint Valentine's Day Massacre and leave all o f the coupley stuff alone. I love galnetine's day. My husband isn't really into Valentine's day so I think it is so much fun to celebrate the gals in my life. This sounds awesome even if you're not single! Food, friends, games are good for any time with me and my friends! Even though I am not single - I would definitely do all of these!!! This is the perfect Galentine's Day in! Spa days are also fun- and this is nice if you do it alone or with some friends! I am not single, but I really like your post, it is useful for me (as not single) too! Love these ideas! So important to love ourselves as much as others! Love these ideas! 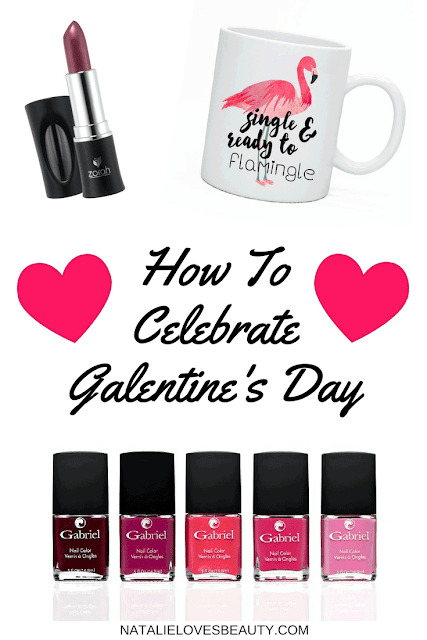 I think the whole movement of Galentine's Day is amazing! No more sulking around if you don't have a partner :-) there is always something to celebrate! Such a great idea for Galentines! I love that mug! Great tips! I am usually single on Valentine's Day so I've gotten in the habit of getting a bottle of wine and fancy chocolates for myself and curling up with a movie and scented candle. My apartment has plumbing issues at the moment or else I'd follow your advice and take a bath, too! Happy Galentine's Day! Lovely suggestions! I dislike how some people do not realize some woman PREFER to be single - I love that you recognize this! That lippie is GORGEOUS by the way! 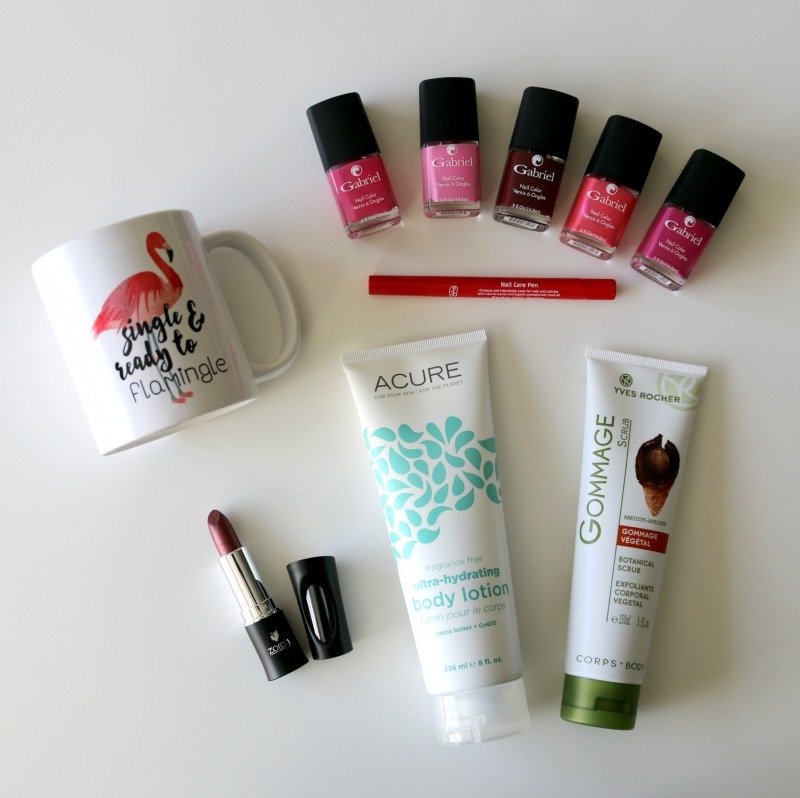 The mug with flamingo is perfection! Why I don´t buy glossies and how I interned in fashion magazine link. I'm not single and I love these ideas! This is such a good idea! You should always be able to treat yourself! I love, LOVE that mug! I love the idea of Galentine's Day. I never really even thought about it till this year when I started seeing it all over the internet. But it is so fun and important to show love to the gals in your life too! I'm totally down with suggestion number 4, as that's what I did last year in Vegas. It was so fun and we weren't concerned with being single at ALL. Oh i love these ideas! i would love to celebrate this galentines day! Looks so fun! Love these ideas! Having a husband/boyfriend doesn't necessarily mean you get to celebrate Valentine's Day unfortunately, I have learned! I might have to treat myself with one or two of your ideas! Those are nice ideas, mani and pedi are really what I need. Those selections are actually what I love especially the lipstick. O totally love the idea. Awesome ideas! It's all about feeling good about and taking good care of yourself! I wouldn't mind giving myself a mani/pedi! I love these ideas!! On Valentine's Day, we usually have a spa day and we love to paint our nails. I'm in dire need of a pedicure, so that's probably what I'll be doing this Valentine's Day. My other half is out of town on business, so it's just me and the kids. Maybe I'll do something fun for them too. I love all of these ideas but I think the mug is my absolute favorite. So cute. That mug is EVERYTHING! Galnetine's for the win. What a wonderful idea to celebrate this holiday by treating ourselves, absolutely brilliant. You're smart to think of this & I hope you keep up the tradition forever as women need to do a better job taking care of themselves ... how about once a month! Hey! I loved these colors and products. Definitely going to include in my skin care products. Hope this would be going to make a great combo with my skin care products. Waaww!!!! These nail color shade are really dazzling and attractive. Sooner these lipstick and nail color shades will be in my make-up pallete. This is so cool. My friends and I are all married now but we still get together the Sunday before Valentine's Day to do a Galentine brunch every year. I bought myself some indulgent chipotle for Valentines Day :) I wish I had the extra money for a mani pedi though! Love every one of these! Some of these ideas are great for everyday pampering as well. Those polish colors are so cute btw! These work well as suggestions for my teen daughters! Thanks - got a couple great ideas from here!